Mayra lives in the barrio of Puerto Nuevo with her mother and brother, who are ill and bedridden. Mayra is the sole caregiver in the home. Once a month, she pays a registered nurse $200 to watch her family for the day while she runs into town to take care of errands like grocery shopping and getting medical supplies. This is when she leaves the four walls of her home and is able to have time to herself. During the week, she sells sodas from her house to those who knock on her door passing through. This life was difficult before Maria, but now has become nearly impossible. The hurricane's damage to the top floor of her home was so bad that she had to move everything to the bottom floor. Her rotting roof has not been seen yet by insurance companies as she waits under a pile of claims. Her electricity goes in and out from the precarious rooftop wiring that has also not been fixed. 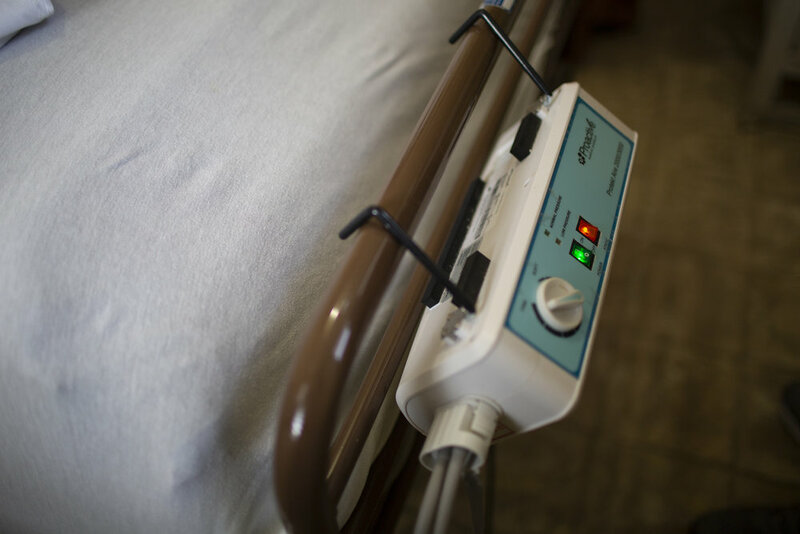 Every time she loses power, her mother's medical bed made of air deflates, causing a danger of bedsores and great discomfort. Though she said she doesn't want people to think of Puerto Rico and only think of the recent hurricanes, she told me this moment is a critical part of our history, too. People in the coastal communities have lost everything, but communities right in the metro areas of San Juan are also suffering. "We used to help each other in my neighborhood, but the feeling of community went away when people were forced to find ways to survive. Times are changing. I feel alone here now." She informed us of several other families living on the same street who are also struggling.